The cover letter was once a valuable tool for all job seekers hoping to get by the HR gatekeeper. However, the rise of innovative tech, social media, millennials, and good old-fashioned networking is killing the cover letter. 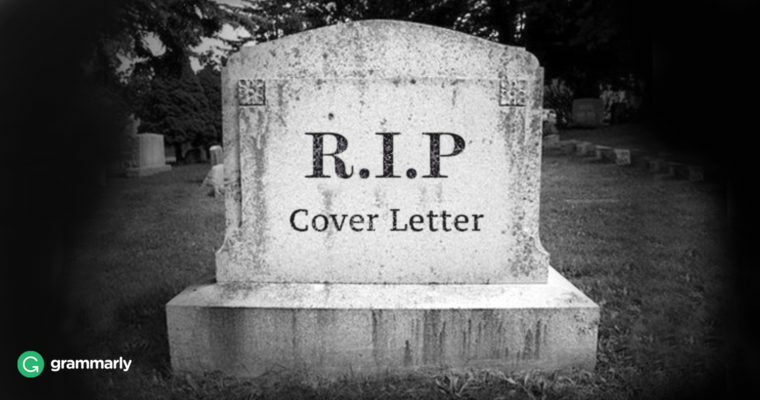 The only thing missing from the decline of the cover letter is a time of death. In fact, chances are your cover letter won’t even be read, according to Fortune. Nearly 90 percent of hiring managers admit to never reading cover letters. Interestingly, most job posts require a cover letter despite the unlikeliness of it getting more than a quick glance. Studies have found, however, that cover letters still get read if submitted with a resume. The cover letter is as out of fashion as Hammer pants and Beanie Babies. Unless a cover letter is explicitly required, it is a waste of time and effort. Here’s why. It may not come as a surprise, but your social media presence is very accessible. Recruiters know this and they will check out your profiles and activity. Social media is, in effect, the new cover letter, and at times the new resume. This can be an advantage or a disadvantage, depending on your digital footprint. When recruiters want to know something about potential candidates, they simply Google them or check their Twitter accounts. Your Facebook photos are far more compelling and revealing about who you are compared to a thoughtfully scripted cover letter. Your cover letter may include all the traditional pleasantries, but there is always a more effective way to put your best foot forward. Networking is often far more effective than a cover letter. In fact, 70 to 80 percent of jobs are never posted online, Matt Youngquist, president of Career Horizons, told NPR. This makes the cover letter a time-consuming effort with little return. Networking is possibly the best and fastest way to land the job you want. Companies large and small, including fresh startups, have all gone the route of the freelancer. Often, a cover letter is not part of the equation when hiring for contract positions. An estimated 34 percent of the American workforce is composed of freelancers, according to a study conducted by the Freelancers Union. And this is expected to rise to 50 percent by 2020. The wide range and availability of freelancers has made the cover letter irrelevant. Why bring in new employees on a salary when a freelancer will do the work on a project basis? Freelancers are often more economical for companies as well. If a recruiter needs to fill a position fast, why take the time reading endless cover letters? All the information they need is on a potential candidate’s professional online profile such as LinkedIn. In fact, nearly 93 percent of recruiters use LinkedIn to fill their company’s talent pool. Professional online platforms like LinkedIn are not only killing the cover letter, they are also putting the resume to rest as well. Many companies even permit potential candidates to apply to a job with their LinkedIn profile. Don’t toss your cover letter just yet. There is still a place for it in your job hunt as it takes its last fleeting breaths of life. Though the cover letter is nearly dead, it is still required for the many jobs still posted online. However, focusing on your professional digital footprint more than your cover letter may prove to be time better spent. Vera Marie Reed is freelance writer living in Glendale, California. This mother of two specializes in education and parenting content. When she’s not delivering expert advice, you can find her reading, writing, going to museums, and doing craft projects with her children.